Gamekeepers from Angus Glens Moorland Group (AGMG) are battling it out with some of the country’s top celebrity chefs to be crowned ‘Game Hero’ in this year’s Eat Game Awards. The national Eat Game Awards is an exciting initiative aimed at recognising and helping to develop game as a healthy and modern addition to the British menu, as well as encouraging the public to discover and embrace this valuable food source. With over 2,000 nominations being received from throughout England, Scotland and Wales, across 10 game categories, AGMG is in the running against 15 other contenders for the ‘Game Hero’ award including TV chefs James Martin, Jamie Oliver and Rosemary Shrager. AGMG was nominated for the award having set up a number of exciting initiatives to champion the use of game and educate the wider public on the sustainability of game from ‘hill to plate’. The moorland group’s initiatives include ‘Game for Giving’ and ‘Game from the Glens’. 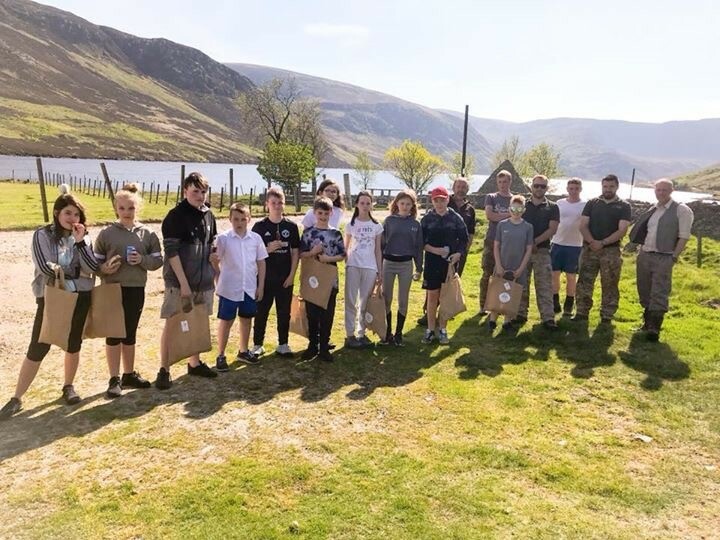 AGMG also conducts educational field trips for local school pupils, with over 60 children welcomed through the gates in the glens over a series of workshops to learn more about where game comes from and each leaving with bags full of freshly prepared game meat to take home and cook with their families. AGMG has also established a partnership with Brechin High School, working with their home economics department which has now incorporated game cooking in their curriculum. Local chef Adam Newth of The Tayberry, who has a passion for cooking with locally sourced seasonal produce including game also joined the group during their work with the school, teaching pupils how to cook with pheasant. Having launched their ‘Game for Giving’ campaign in 2016, working with local estates, butchers and chefs to create oven-ready game meals donated to local charities throughout the season, AGMG together with the Grampian Moorland Group, have now fed over 1,200 families and aim to feed over 1,000 additional families this year. The ‘Game from the Glen’ event is an annual dinner which also aims to raise awareness of the use of all game meat including grouse, rabbit, pheasant, venison and partridge amongst key audiences including the general public, retail outlets, hoteliers and politicians. This year the event will raise funds for the Scotland’s Charity Air Ambulance as part of the charity’s ‘Give Us Five’ campaign. Spearheading these initiatives for AGMG is group coordinator Lianne MacLennan. Lianne said: “Angus Glens Moorland Group has been working tirelessly to promote the use of game, grouse in particular, as a sustainable and healthy food source. It’s all about education, from grass roots up, to ensure young and old alike fully understand where their meat comes from and the many benefits of grouse, not only in terms of the nutritional aspect of game as a sustainable and locally sourced healthy meat but also the economic benefits which very much support our way of life in the glens. “From our gamekeepers to family and friends, we are passionate about the Angus Glens and it is imperative we continue our educational work to ensure that management of our beautiful moorland continues for generations to come. There is still time to vote for the Angus Glens Moorland Group in this year’s Eat Game Awards with voting open until Sunday 30th September. Visit https://eatgameawards.co.uk/categories-of-awards/#GameHero to vote. Winners will be announced at a gala dinner at Boisdale Canary Wharf on Tuesday 9th October 2018.